Our experienced attorneys are ready to fight for the justice you deserve. Contact our office 24/7 for the help you need and to receive your free case analysis. Injured? If you or a loved one has been injured in an accident, you may be able to work with an attorney to collect compensation for your injuries and financial losses suffered as a result of the accident, such as medical expenses, lost wages, and more. 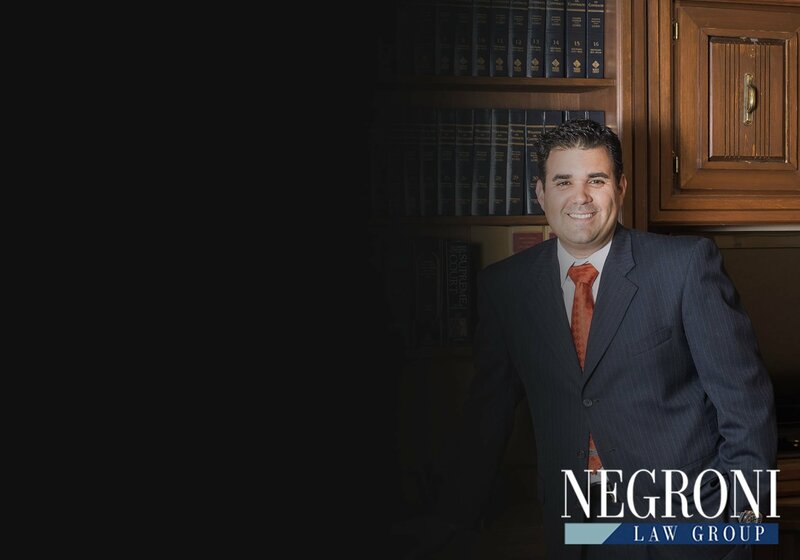 At Negroni Law Group, we are personal injury lawyers committed to helping those people throughout Palm Beach, Broward and Miami-Dade Counties who have been injured because of another’s negligent or reckless conduct. We offer professional legal representation that allows you to focus on healing and being with friends and family while we handle your claim, dealing with the insurance company of the responsible party and taking your case to civil court if needed. We deal with all types of personal injury claims. The outcome of your case is too important to fight on your own. Learn more about the legal process in Florida and what happens after an accident. We have a dedicated and experienced staff that is ready to support you through your legal matter. Our attorneys have answered some of the most common questions about injuries and accidents. There is No Cost to Start Now. Contact Us Today to Receive a Free Case Analysis. After a terrible accident or injury, you should not be left to wonder how you are going to pay for medical expenses and still make a living in order to feed your family. In an ideal world, you would be able to take the time to heal while the person who caused your accident took responsibility for paying your medical expenses and your lost wages. Unfortunately, it does not always work this way. When an accident victim attempts to represent him themselves, the insurance company may use underhanded practices to avoid paying the valid claim. Without an attorney to protect your rights and put needed pressure on the insurance company to pay the claim, you may be left with nothing. When you work with a skilled personal injury lawyer at Negroni Law Group, you can rest and spend time with your family while we draw upon our years of experience and our resources in the area of civil law to help collect the compensation you deserve. Best of all, when you work with a lawyer at our firm, you do not have to pay anything up front. We work on a contingent fee basis, meaning that we will only charge our legal fees if we collect a settlement on your behalf. You have nothing to lose and everything to gain by working with an attorney regarding your accident, injury or property damage claim. Contact a Broward County Attorney today. May 01, 2018 Why Is It Best Practice to Keep Kids in the Back Seat Until Age 13? Apr 05, 2018 What Makes People Prone to Road Rage?